There has been a lot of discussion about this movie and how it was made compared to the original Nickelodeon TV series. Aside from my partner’s research over the web on several critics and with my family’s opinion on this. Though the saying, “Let’s agree to disagree” applies here but still I just can’t get the idea that some just can dismiss the idea that’s a good-enough movie or at least it stayed true to the original series. The director, M. Night Shyamalan, for me did a good job with the movie. Though I am not an avid fan of his movies. But I did like The Sixth Sense and Lady in the Water and that’s it. The others did feel short for me. Some people would judge the movie solely because of the director or a personal preference and not the actual work that they did. If you are a true, authentic fan of the Avatar: The Last Airbender in Nickelodeon, you should have some understand or appreciate the transition from the TV series to the big screen. I have not seen a movie that was sourced from a book or a TV series that was true or exact to the original format. Just imagine, the movie was sourced from the Book 1 (Water) of the TV series. The series has 20 episodes. I’ve heard some comments that there were a lot of episodes that were not in the movie. Obviously they cannot convert all 20 episodes into a movie otherwise, it will be a 1-day movie so you can just imagine how much that would cost. In fairness to the movie, there were some episodes that can do without and it does not compromise the stroyline. So I think there are some expectations out there that are a tad bit outrageous and unreasonable. The special effects are very commendable and believable. That was one of the things I liked about the movie, not to mention the martial arts are exquisite. This is one movie that 3D format was an added bonus and enjoyment. This is worth the additional cost for a movie ticket. Though I like the movie, I must admit that I was hoping that the actors would take heart the characters of the original series. 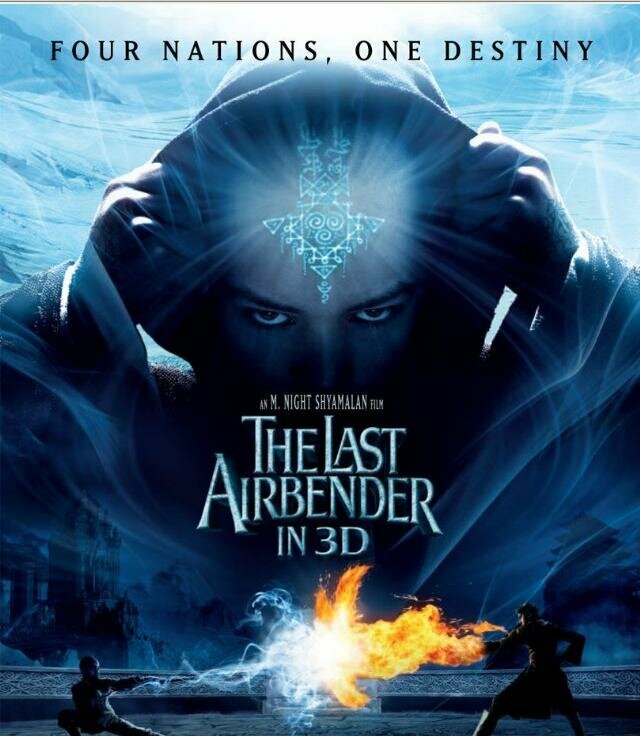 The role of Aang (Noah Ringer) and the role of Sokka (Jackson Rathbone) fell short in capturing the essence of the role. Both character injects humor and personability. Those personalities, I believe, added to the enticement of the series. The unpredictable punchlines and awkwardness are very appealing to the series, unlike the movie. There were uptight from the very beginning. I know that the moment the Avatar was awoken they have a big obstacle to overcome but this doesn’t excuse a little giggle here and there. It would have been more interesting to see those attributes in the big screen. Also the role of Prince Zuko (Dav Patel) would be better with a little more dialogue. Though both characters are basically mad and evil in pursuit of Aang, in the series Prince Zuko verbalize his feelings unlike in the movie he just looks mad all the time. It does lack a bit of connection to the viewers or at least to me. Despite my comments, I look forward to the next installment, Book 2 (Earth) and my expectations is reasonable, basing it solely on the series. And that is what I suggest to those who plan to watch the next installment. This way you’ll have a better appreciation of the transition from the small to the big screen.